The tragic fate of Saudi journalist Jamal Khashoggi is, in many ways, unexpectedly going to shake the future of the Saudi Kingdom. Will it change it? it is hard to predict. What obviously nobody in Riyadh could expect, the execution of the critic of the political system in Saudi Arabia became the main topic in shaping its future relations with many countries in the world. More importantly, the behavior of the Saudi rulers after the killing is not going to be easily forgotten for many years to come. It is very hard to understand what was the plan of the secret agents from Riyadh in this case. 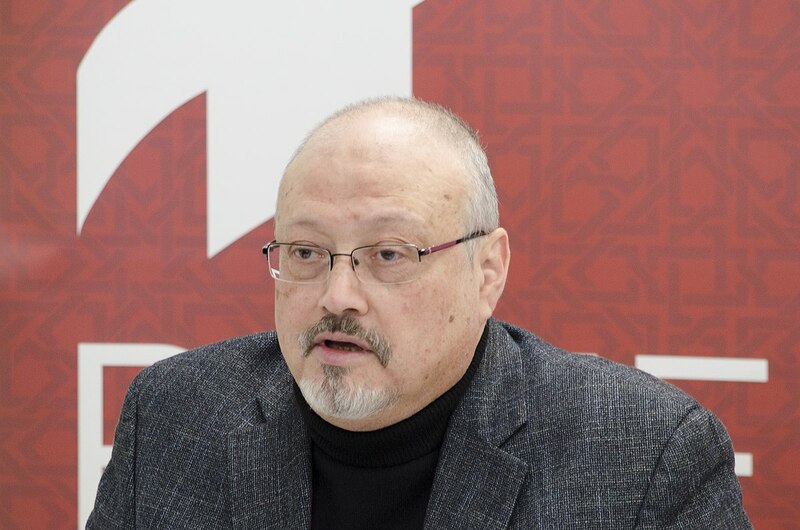 Was it an attempt to kidnap Khashoggi and send him home by force and what went wrong to end in his death? Or was it a planned execution inside the premises of the Saudi Consulate in Istanbul? One could also try to understand why was it done inside the diplomatic/consular mission in the foreign country. It looks like somebody inside the Saudi regime wrongly interpreted the corresponding clause of the Vienna Convention on Consular relations from 1963, which is treating the premises of the Consulate as inviolable, without any boundaries. However, the boundaries are very clear. It is the obligation of the “sending country” to conduct the activities of representation inside the local legal system. This means that by being protected through diplomatic or consular immunity, you do not have right to break the local laws in any way. Moreover, that is exactly what Saudis did. From the beginning of the affair everybody knew what happened inside of Consulate. The Turkish Government was very forthcoming in publishing its findings, having the right to do so, but also for their political interest. For a long time Ankara has been criticized by many countries for its treatment of the opposition forces and media. This is the initial motivation that influenced Turks to go public as much as they could, while a secondary is its rivalry with Riyadh in the Middle East and North Africa. Ankara was always interested in promoting democratic Islamic political system and because of that it came to the similar position with the Muslim Brotherhood in Egypt and other countries. The word “democratic” should not be understood literally. For the most part it only means to take power in the country through elections. At the same time, Saudis are an arch enemy of the Brotherhood and they did anything possible to weaken their position in all Arab countries. And they won. Essentially, Muslim Brotherhood lost their power in Egypt and Tunisia and today do not represent such a strong force in the Arab world. The Turkish influence was minimized and they obviously felt very strongly to send a different message to the USA and many other states after the killing of Khashoggi. The Turkish request to search the premises of the Saudi Consulate and the Residence of the Consul General was granted by the Saudi Government. According to the conventions, they didn`t have to do that, nevertheless they chose to. It is not a matter of International Law, but political consideration and the “damage control” phase in their relations with the world. Before entering the premises, the Turkish authorities already knew almost everything that happened there and where to search. They also knew that the Saudis did some damage to the potential evidence, in trying to erase the traces of the conflict with the Khashoggi. However, that was not so important for the Turks. What is important and what Saudis have to be aware of is that the Turkish secret service has possession of an audio tape of the conversation between Khashoggi and the people inside the Consulate. That means that everything is already clear and the Saudis have to cooperate with the Turks in order to minimize their future actions in this affair. The Turkish president in his speech a few days ago, gave some important details and made accusations, but more significant are the things he did not say. He didn’t mention the audio tape and he didn’t mention the Crown Prince of Saudi Arabia, Mohammed bin Salman. The tape was not mentioned probably because of the way it was recorded, which would have to be considered as a violation of the Vienna conventions on Diplomatic and Consular Relations. One could suspect that the Consulate was possibly bugged, what everyone knows, but would not admit (an usual diplomatic situation). Furthermore, not mentioning the Crown Prince has also a clear meaning, that he cannot be mentioned in a positive way. Therefore, for future relations it is better to omit him totally. It is an unspoken accusation by the Turkish president that he is responsible for the killing. In the end, the Turkish request for the extradition of the Saudi citizens to be tried in Turkey is a very good way out of the crisis for Ankara. By doing so, they support the truth, human rights and freedom of the media. Nonetheless, they will not have to bother with the actual trial, because the Saudis would never extradite their citizens. Nobody would. Thus, one could expect that the Turks will send some of the documented evidence to Riyadh and the Saudis will organize the trial of some of the people involved in the affair. Additionally, Riyadh will eagerly wait for another crisis to break out somewhere else in the world, in order to shift the attention away from them. This is the reality. Everything else is a theory.